Tagaytay car accident: Victims' cover photos reveal their 'final destination'? Home / news / trending topic / viral / Tagaytay car accident: Victims' cover photos reveal their 'final destination'? It appears that the Facebook cover photos of the minors who perished in the Tagaytay car accident last Sunday revealed their final destination. 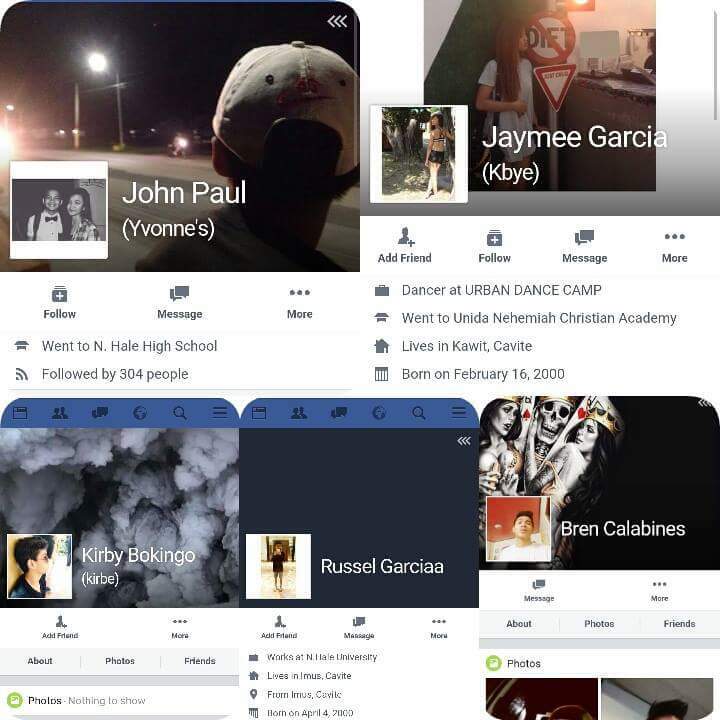 Screenshots of the FB profiles of five of the six casualties circulated on social media after news about the car crash broke. Their cover photos, according to some netizens, have a connection to their deaths. John Paul Tena uploaded a cover photo of him looking at a road, Jaymee Gubaton was standing beside a road sign, Kirby Bokingo posted a picture of smoke of an explosion, Lauren Bren Calabines (the driver) had women and a skull in his cover photo, while John Russel Garcia apparently chose blank or total darkness. Many of those who saw their profiles said they felt goosebumps and were shocked to see the cover photos of the victims. Some likened their deaths to those of the characters in the American horror film series "Final Destination." Do you think the minors who died in the Tagaytay car accident felt that something was about to happen? Do you consider their Facebook cover photos as proof of their premonitions?